The U.S. Attorney's Office said 25-year-old Emanuel Lutchman of Rochester, New York, has been charged with proving material to support ISIS, a foreign terrorist organization. 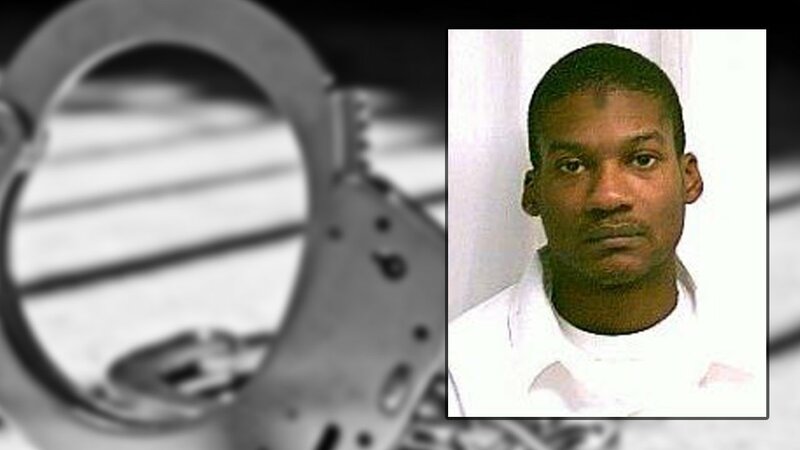 NEW YORK CITY -- Federal authorities say a New York man has been arrested on charges he was planning a New Year's Eve attack at a bar to prove to the Islamic State he was worthy to join it in Syria. Prosecutors announced Thursday that 25-year-old Emanuel Lutchman, of Rochester, has been charged with attempting to provide material support to terrorists. They say he was snared in an FBI sting. A federal complaint says Lutchman, who has a criminal record and history of mental health issues, is a self-professed convert to Islam who claimed to receive direction from an overseas Islamic State member and planned to carry out an attack at a bar in the Rochester area on Thursday. The FBI says Lutchman had an accomplice who was actually working for the agency. It says they bought knives and a machete for the attack. Lutchman was arrested Wednesday. It's not immediately clear who represented him at an initial court appearance. Prosecutors said Lutchman planned to carry out an armed attack at a restaurant/bar in the Rochester, New York, area on Thursday. He was going to do this on behalf of ISIS and it was part of his plan to join ISIS overseas. The FBI learned about the plot and set up a sting. During this, Lutchman allegedly discussed doing assassinations and using a pressure cooker bomb. Prosecutors said Lutchman told an informant that he hates the United States and that he was committed to ISIS. "We just gotta show our allegiance. I'm ready to lose my family," Lutchman allegedly told an informant. "I will take a life, I don't have a problem with that." He also discussed targeting sneaking a bomb into a bar or club and kidnapping people and kill them. He ultimately settled on a New Year's Eve plot involving possibly kidnapping a victim and killing them using knives and a machete. On the evening of December 29, Lutchman met an informant at a Walmart in Rochester to purchase supplies for the operation including 2 black ski masks, zip ties, 2 knives, a machete, duct tape, ammonia and latex gloves. Lutchman apparently had very little in the way of money and needed the informant to pay $40 for those items. "The FBI thwarted Emanuel Lutchman's intent to kill civilians on New Year's Eve," said Special Agent in Charge Cohen in a news release. "The FBI remains concerned about people overseas who use the Internet to inspire people in the United States to commit acts of violence where they live." Lutchman appeared before a magistrate Thursday morning. If convicted, he faces up to 20 years in prison and a $250,000 fine.